Rent controls. Despite major concerns about their effects, this housing crisis sticking plaster looks set to become one of the next big political battlegrounds. It’s easy to see why. 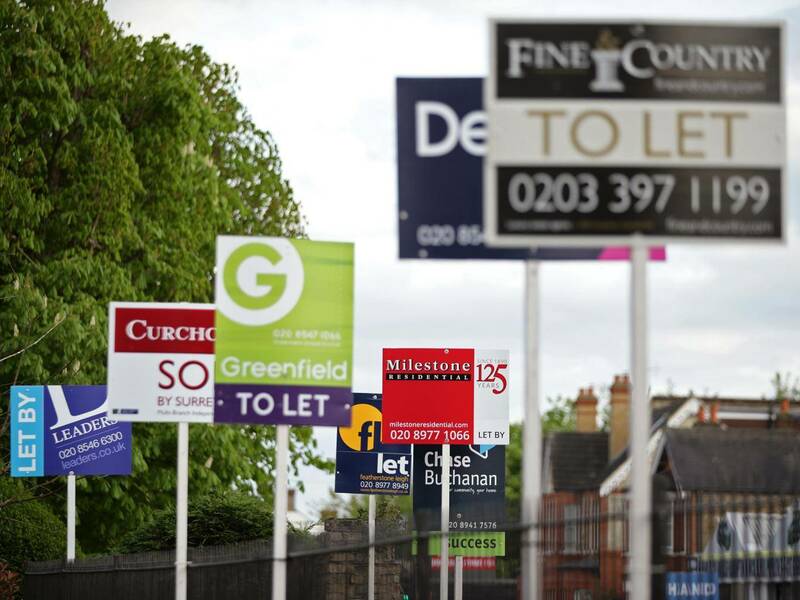 Tenants paid more than £50bn in rent last year. That’s double what they forked out 10 years ago according to Countrywide. And while a small part of that hike has been down to a yearly rise in the number of people needing to rent in the UK, most of the increase is because rents have been rocketing – up by 3.25% in 2016, for example. Yet whether hikes will remain subdued is unclear; around six in 10 lettings agents predict rents will increase this year according to trade body ARLA Propertymark. Seven out of 10 believe that the new rules banning letting agent fees will mean landlords face higher costs that are subsequently passed on to tenants. And this all comes on top of the news that home ownership among millennials has collapsed, thanks to average house prices growing seven times faster than the incomes of young adults over the past 20 years. The Institute for Fiscal Studies revealed that just 27 per cent of middle-income adults aged between 25 and 34 owned a home in 2016; a significant drop from the 65 per cent of the same group in the mid-Nineties. Clearly, tenants could play a key role in electing the next Government. That’s probably why Jeremy Corbyn made helping them such a clear priority in his speech at the last Labour conference. Yet there is disagreement over whether controls would help tenants, hurt them or further reduce the number of properties available to rent. The Residential Landlords Association (RLA) has argued that rent controls where increases were capped by inflation each year would actually leave tenants worse off because the CPI was 2.7% in the year to January 2018 and rent increases were considerably lower than that. Yet rent controls do exist in other cities and do benefit tenants, so who’s right? We asked a number of rental sector analysts and commentators whether Generation Rent would be more secure and pay less if there was more regulation. Rob Bence, co-founder of landlord resource The Property Hub, says the Government is focusing on the wrong areas. Mr Bence adds: “Contrary to popular belief, landlords are not hiking rents across the board and where rents are rising it’s not happening because villainous landlords want to line their own pockets. “Over the last few years, government intervention in the buy-to-let sector aimed at making things ‘better’ for tenants has left some landlords with no choice but to increase rents as a result of spiralling costs. Implementing rent caps would see many landlords forced out of the market, thus resulting in even less choice for tenants. Alexandra Morris, managing director of online letting agent MakeUrMove, agrees: “The main problem for tenants is a lack of supply in the housing market, meaning it does not meet demand, particularly when it comes to social housing. Rent controls do not deal with this problem, they merely seek to address a symptom of the problem. “Most good landlords don’t regularly increase rents, because they want to provide a service their tenants can afford. This means most landlords experience a real terms reduction in their rental income year on year. Rent controls would represent another burden for landlords who are already facing interest rate rises, tax relief changes and increasing regulation. This could become a further barrier to landlords covering their costs or making a small profit. However, he does agree that harsh rent controls could hurt tenants in the long run. David Cox, chief executive of ARLA Propertymark, is scathing of any talk of controls, arguing that they simply do not work, hurt those they are intended to help and have failed in the past. Obviously landlords and property investors have more groups and interested parties available to represent them than renters, so it can be hard to gain a tenants’ perspective of the rights and wrongs of rent controls. Shelter has looked into controlling rents and, while broadly supportive, it has concerns. Controlling increases is fine, suggests Steve Akehurst, head of public affairs and campaigns at at the homelessness charity, but fixing rents at specific prices for different areas could drive landlords out of the sector. A glut of homes coming onto the market might help those able to buy but risks leaving lower-income households with nowhere to live and an insufficient supply of council and social housing to meet their needs. Instead, Mr Akehurst urges that the freeze on housing benefit should be ended and payments linked back to rents, as well as taking steps to build more affordable homes to both rent and buy. “All of these are big solutions that would make a difference and send a signal to voters. All of them will help those on low incomes as well as middle incomes. And all of them are a safer bet than old fashioned rent control,” he says.